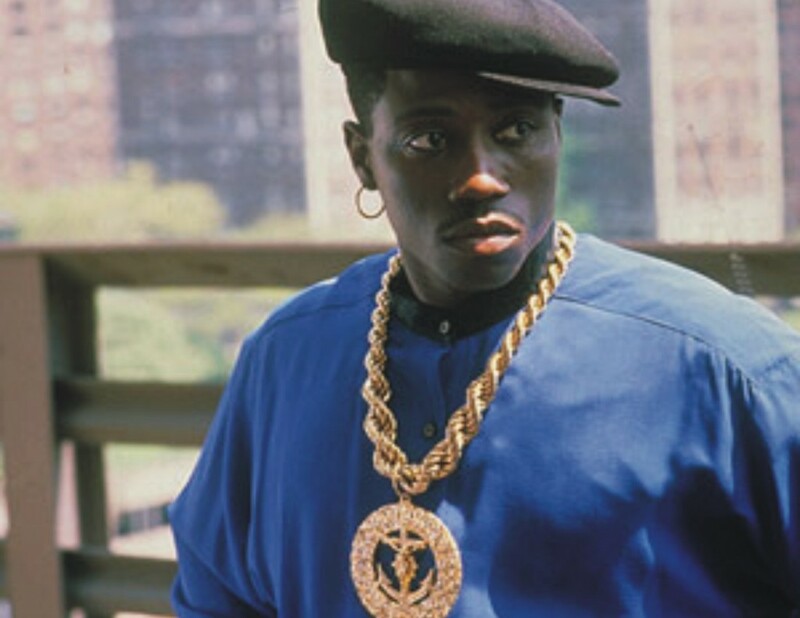 It is very easy to dismiss New Jack City as just another gangster movie. Having not revisited it since its release, there is so much more that this 90s thriller has to offer, a multi-layered tale of drugs, duelling partners and the changing face of a former crumbling city. It also has some very impressive performances from some unlikely performers. Nino Brown is a crime lord who wants more than he has. he wants to make his drug empire grow, to force out the Italian mob and to run Harlem. His ambition is focused on a dilapidated building where the junkies go to get their fix. The police seem powerless to stop him. Former junkie and now cop, Scotty, is more determined to bring Nino’s empire crumbling. Given a new partner in white cop Nick, their partnership is less than smooth and as Nino manages to run around the city, doing whatever he wants, the cops are getting frequently frustrated that they are willing to accept anything to get Nino behind bars. Mario Van Peebles’s film would have been considered a blackploitation film had it been made in the 70s. Heavily influenced by his father’s work, director Melvin Van Peebles, it does have a 70s feel while managing to capture the early 90s sense of yuppiedom. The clothing is a little shocking and you forget that bright suits were the norm for those who had more money than sense. The film, even though doesn’t shy away from the drug lord lifestyle of excess and it does look wonderful that having money can buy you a great life, it doesn’t promote it and it wants to show the horrors and effects that the drugs Nino sells has on the people who use them. Peebles captures the grimy, darker side of drug taking to maximum effect. Having a contradiction in worlds, it’s just another example that the film isn’t just a story of a wealthy, powerful drug lord having a captive audience with the lowlifes of society. He also includes a surprisingly realistic performance from an unlikely source, comedian Chris Rock. As the squealing junkie, Pookie, it is an assured and moving part for a man who has made so many bad movie decisions since. You genuinely feel he has been hell and back. The rehabilitation scenes are hard enough but when he has to face his demons a second time, it is gut-wrenchingly painful. The other performances are equally good. Wesley Snipes as Nino has an air of smugness that makes him perfect for the villain of the piece. His position in power is all that matters. He is nasty and it put Snipes on the map as an actor to watch way back then. (Shame his life hasn’t panned out as it should). Former Brat Pack star Judd Nelson is good as the trouble-making Nick and his bickering scenes between him and Scotty are strong and sometimes gives the film a well needed comic edge. The real star, however, is former rap star Ice-T. As Scotty, his performance is a powerhouse. Desperate to bring down Nino no matter what, he is utterly cold behind the eyes. The sequence when Pookie is discovered is as strong and as heartbreaking as anything that the Oscars would pick. Like Rock, it’s a pity that Ice-T didn’t pick the right roles after this but he certainly is a talent and it’s all on show here. As solid a gangster film as any from the 30s, it still should be remembered fondly and it was a joy to make its acquaintance again.